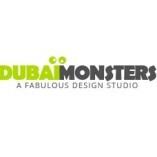 Dubai Monsters as a digital marketing expert. I am a fond of cats and have 3 lovely Persian cats at my home. My whole family take great care of them and we watch them play around with the ball and other things that interest them. I try to read as much material as possible to make sure they remain safe, healthy and playful.